CR Meyer is a self-performing contractor with teams of highly skilled craftsmen employed in the most high-demand trades of industrial construction and maintenance. From demolition, pile driving, concrete and masonry, to ironwork, millwrighting, rigging, piping and boilermaking, CR Meyer can handle it all. We understand construction from the initial idea to the final punch list. When we are part of a project from the beginning, we can consult on design, building materials and construction methods, in a manner that saves money increases value. We set safety standards and arrive on the job site with tradesmen who are already oriented to the safety rules.  We avoid delays in critical path components because of our abilities to self-perform key tasks on a project. We can flex and execute change orders and proactively drive the project schedule when opportunities arise. At CR Meyer, we’ve spent generations cultivating a culture of quality, safety, creativity and strong customer relationships. You never have to worry whether or not you have the most talented crews working on your job site. 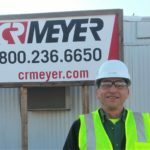 When you hire CR Meyer to work on your project, our very own people show up – the best of the best – because our reputation depends on it. CR Meyer has been a valuable partner to our company in assisting us with our projects. I am impressed with their project planning process and their strong emphasis on safety during construction. We look forward to working with CR Meyer on future projects.